We have established ourselves as experts in the preparation of customized medications for patients with rare disorders and have expertise in compounding formulations for Mitochondrial Disease and various metabolic disorders. We understand the highly patient-specific design and are familiar with the complex procedure underlying the preparation of these multi-ingredient medications in various dosage forms such as capsules, liquids or G-tube additives. 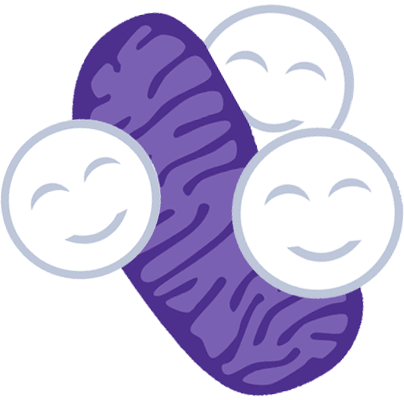 Our pharmacy is working closely with prescribers, patients and their families to supply individuals with mitochondrial and metabolic disorders with the unique supplement cocktails they require to better manage their condition. We are PCAB-accredited, demonstrating our dedication to excellence in compounding, and we are licensed across the country. We are happy to work with all insurances. In addition to state-of-the-art compounding, our pharmacy staff offers a unique level of professional expertise to prescribers and patients. Amany, the owner, has more than 20 years of experience in pharmaceutical manufacturing and clinical pharmacy. We have three additional very dedicated and competent pharmacists on staff, including a PhD pharmacist who worked in biomedical research for many years and specializes in the development of novel formulations for rare diseases. Please do not hesitate to contact us should you have any questions about prescribing a medication for a patient with Mitochondrial Disease or a metabolic disorder, or about obtaining a medication that was prescribed to you or your child.